What do you think when you see the color orange? From the fruit to autumn leaves, or the vivid sunset from your window….Orange is right in between the intense red and bright yellow, and gives off a warm sense of brightness. It’s often used to describe happiness and other positive images, and is said to have the effect of cheering people up. Looking at a sky of orange as the sun sets will definitely leave you feeling calm and at peace. It dispels anxiety, and puts you in a good mood. 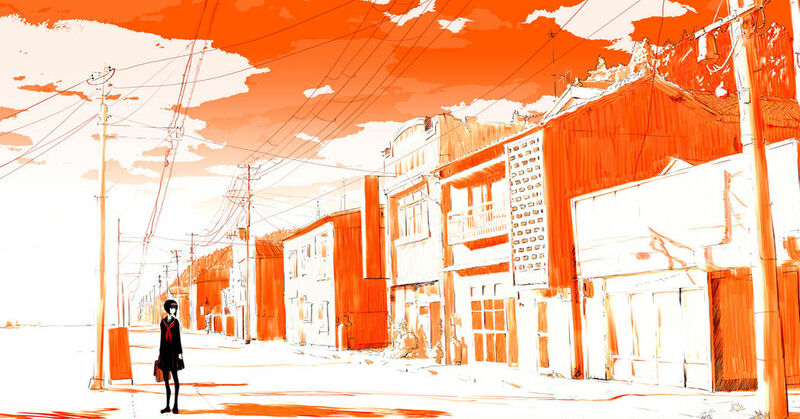 Let us show you illustrations centered around the color orange today. Enjoy!